On January 8, last year, when Jammu and Kashmir government handed over the Aiwan-e-Suhafat, the Press Club to Kashmiri journalists, a group of Kashmir based media persons thronged the club housed in a renovated government building at Polo-View. The joy of getting a Press Club was all over social media, in the afternoon as the ecstatic media persons flooded it with pictures. The reactions were a testimony to the fact that there was a demand for such an institution in Srinagar. The textbook definition of a press club is an organization for journalists and other professionals and intellectuals engaged in the production, dissemination of news and generation of public discourses. 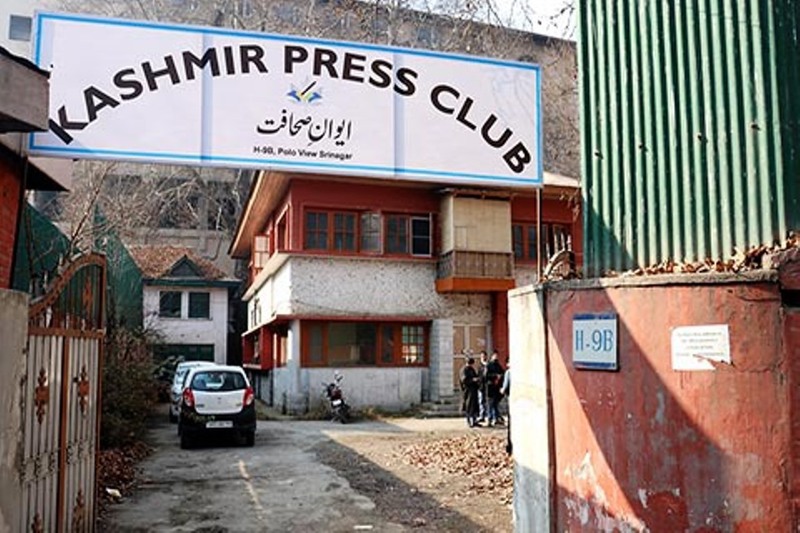 In a place like Kashmir which has very limited public spaces for intellectual engagement, the Press Club becomes a critical spot for discussions, networking and holding events. 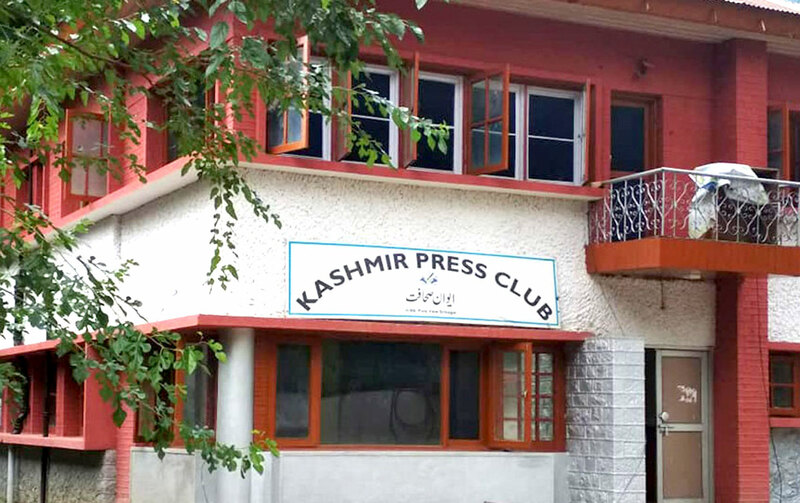 “In the context of Kashmir, an institution like Press Club becomes vital. In today’s day and age, when information is critical for delivering better governance, transparency, moulding public opinion, conflict resolution and even nation-building, Press Club becomes a critical space,” believes Harris Zargar, a researcher and a journalist who has worked with HT Media group in Delhi. Secondly, the Club can help in revival of the culture of the public sphere to engage in public discussions, which had taken a hit due to political turmoil in Kashmir, he said. Previously Srinagar had a Coffee House on Residency Road, which apparently functioned as a public sphere. “Professionals from different fields would assemble there and engage in discussions on subjects of politics, society, day to day happenings. “The place was locally known as Samanbal (Kashmiri for a meeting place),” Zareef Ahmad Zareef, a well-known cultural historian recalls. “Mostly journalists, academics and educationists would frequent the place,” Zareef, who has been part of the Coffee House discussions, quipped. “It was also a place for foreign journalists to meet and talk with civil society members and intellectuals. Even workers and sidekicks of political parties would frequent the place to keep the tab on public discourse and pulse of the intellectual class. Their presence would sometimes turn the debates into ugly spats,” Zareef added. There were other places in its vicinity where people used to sip beverages and hold conversations; this included the renowned Lala Sheikh teashop which continues to serve that purpose to this day. The Coffee House shut down in mid-nineties when guns started blazing across Kashmir. “It could not withstand the effect of political turmoil,” senior journalist reasons. Now, will the establishment of Press Club help in the revival of public sphere culture? It has been operational for some months and there are clear indications. Malik, however, strongly believes that the Coffee House culture was a different thing altogether. “Its canvas was wider. It was a place for everybody,” he said. Technically, the Press Club cannot transform into a full-fledged public space despite the fact that even public figures and other members of the society can avail the membership facilities. “It will always remain restricted to members and thus the question of calling it a public space doesn’t arise,” another senior journalist said. The Club is already functional and many political parties and individuals have already thronged the Club since it was handed over to media. Many press conferences and seminars were also held. The activity is expected to improve as the election season is on. However, after the club was handed over, it faced a major issue: finances. Initially, the affairs of the club were run from the corpus generated by the contribution of members and membership fee, said the President of the ad hoc body, Shuja-ul-Haq. He said the government, only last month, released about Rupees 50 lacs. “The government did not release any funds immediately,” he said. “We will hopefully start some infrastructural development works from next month,” Shuja said. Earlier, when the Press Club was set up in Jammu, they also got an initial grant for infrastructure. He said that the body is planning to provide all the facilities that a modern press club should have. “We want it to be a vibrant club. We will set up facilities including a modern gymnasium, recreation centre.” He said that the body also has plans of setting up a library and a work station with high-speed internet facilities. However, the amount released by the government is only for infrastructural development and it is a one-time grant. Shuja said that the club will have to manage all its other affairs on its own. The funding will be gradually spent on infrastructure after the elected body takes over. For the sustenance of the club, a vibrant revenue generation model has to be put in place so that the club works independently, Mukhtar Baba said. But these are issues that can be taken up once an elected body takes over. The general hope is the Press Club emerges an institution that will be self-sustaining, responsive, caring and a model one.